If you prefer your Frappuccino buttery and a little crunchy, you might want to head over to Europe, where Starbucks is offering the new Caramel Popcorn Frappuccino this summer. The new icy beverages features the chain's creme Frappuccino syrup, milk, and ice blended with popcorn-flavored syrup and popcorn brittle. The drink is then finished with whipped cream, a butterscotch drizzle, and more popcorn brittle. 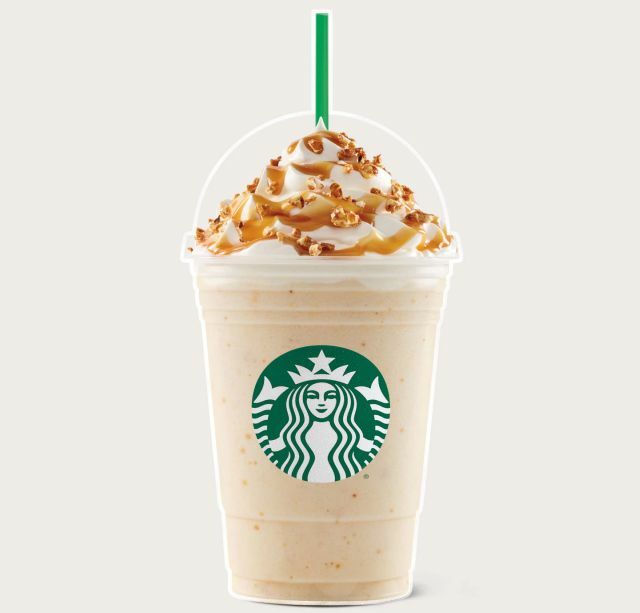 The Caramel Popcorn Frappuccino is basically Starbucks' Europe 2017 summer Frappuccino. Here in the US (and Canada), the chain's Frappuccinos for this summer are the returning S'mores Frappuccino and new Midnight Mint Mocha Frappuccino.